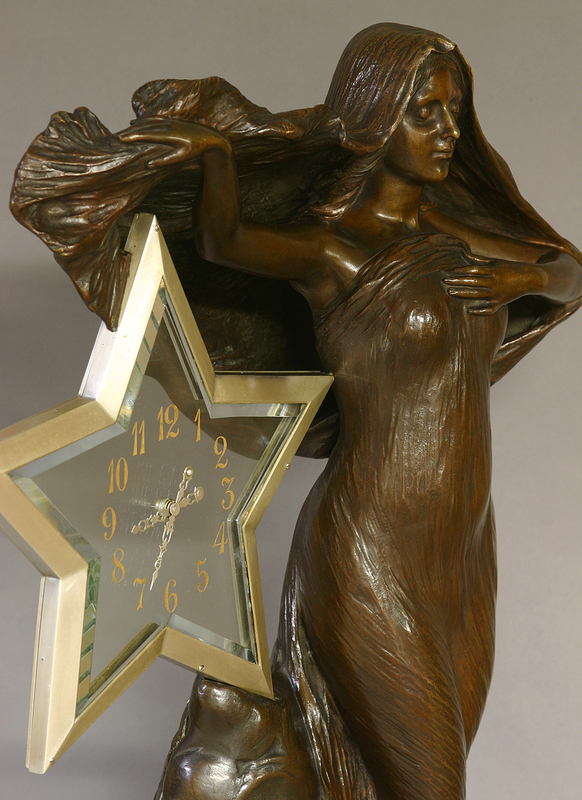 c.1900 Extremely Rare French Patinated Bronze Two Handed Glass Dial Mystery Clock. 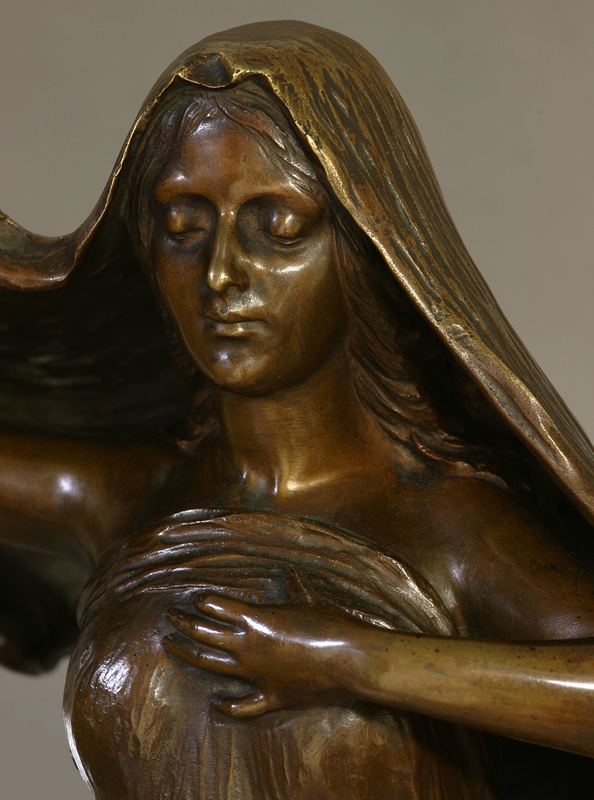 The patinated bronze case depicts a beautiful female figure standing amongst billowing clouds and elaborately clad in flowing drapery. 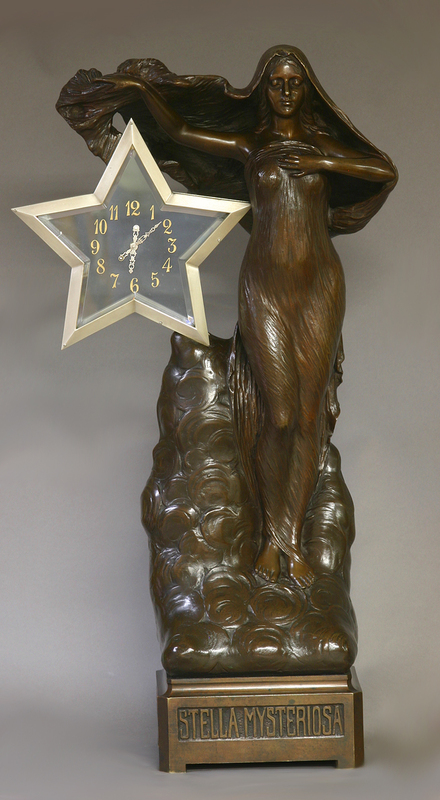 Below her raised arm sits the star-shaped clock dial while supporting the whole is a base with ‘Stella Mysteriosa’ cast into the front and stars to each side. 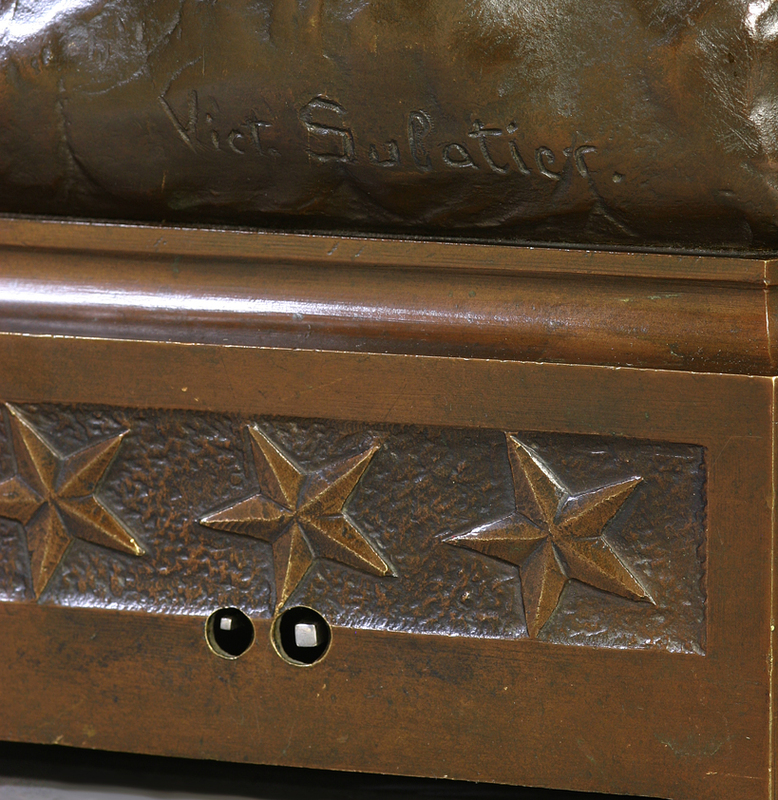 The bronze is signed on the side of the clouds, ‘Vict. Subatier.’. 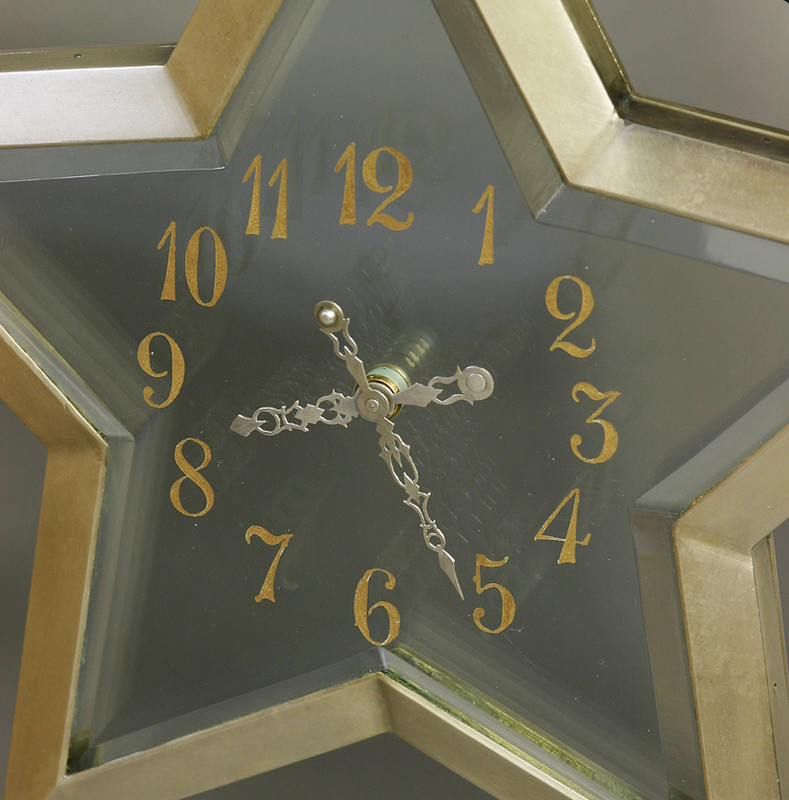 The beveled, star-shaped glass dial has engraved gilt Arabic numbers for the hours, two steel-cut counter-weighted hands and an elaborately constructed silvered star shaped bezel. 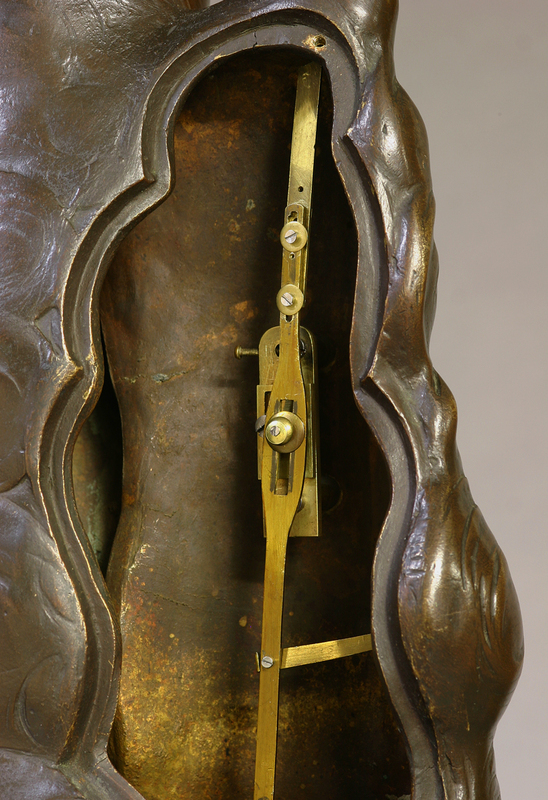 The eight-day time only movement is housed in the base, has a lever escapement, is wound and set out the side, regulated from below and controls the hands via a linkage that runs up the interior of the statue. Robert-Houdin, the acknowleged inventor and creator of the glass dial mystery clocks, began supplying shops with his pieces around 1838. In the beginning his pieces only had a single hand, but as time progressed the pieces became more complicated using both minute and hour hands. This innovation required minute motion-work, but also greatly added to the mystery. 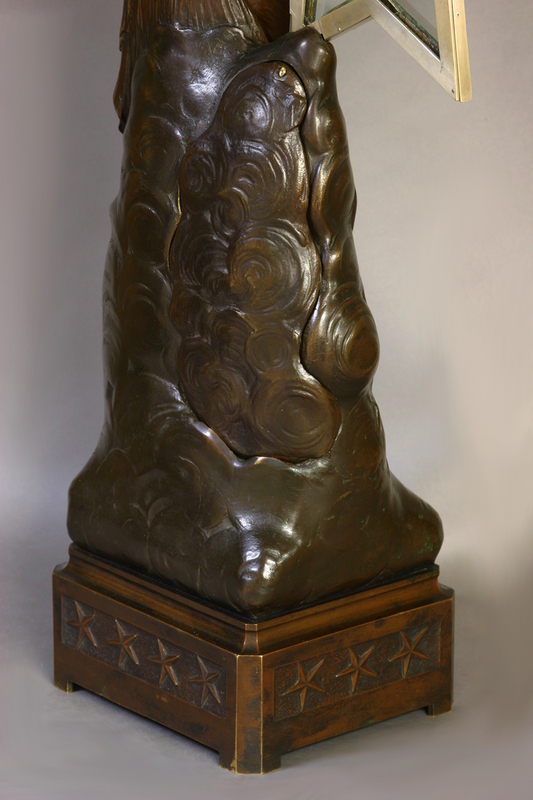 Although he died in 1871 his remarkable designs were so captivating that several makers continued to produce similar pieces into the 20th century. 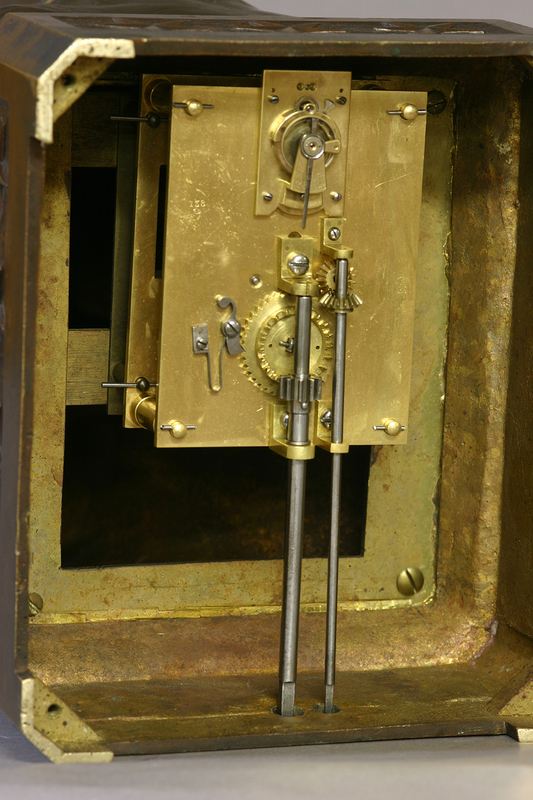 With all the two handed mystery clocks the power must travel through a linkage system to a central glass above and finally to the hands via minute motion work. Multiple glasses are used so while the front glass, the dial, remains properly oriented a central piece slowly rotates to provide the necessary power needed to drive the hands. This illusion becomes even more interesting when the glass is square shaped and is truly mystifying when the glass is shaped as a star. Victorin Subatier is listed as working around 1900. For a very good description of Robert-Houdin and all his clocks see Derek Roberts, ‘Mystery, Novelty, and Fantasy Clocks’, pg.219.